Jurlique Intense Recovery Mask extracts excessive skin oils and dirt while restoring vibrancy and smoothness with Vitamins E and C. This clay mask will leave your skin cleansed, refreshed, and glowing. Green Clay helps absorb impurities and rebalance oiliness. - Green Tea, Grape Seed, Turmeric and Ascorbic Acid are rich in antioxidants helping to protect skin from environmental aggressors. 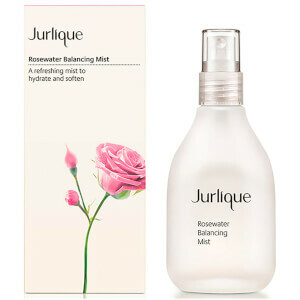 - Aloe Vera, Carrot Root Extract and Rose Hip Oil hydrates skin to help rebalance dryness. - Vitamin E (Tocopherol) and Retinyl A Palmitate help reduce the appearance of lines and wrinkles. I love the smell~usually I use it 3 times a week in the evening and just for 10-15 minutes. I wash it off and then continue to do my night skincare .The next morning when you wake up, you can see the difference~Very good.